Pallet packing isn’t something you can take lightly. One wrong move and the whole shipment could lose strength and stability – risking damage to your freight. 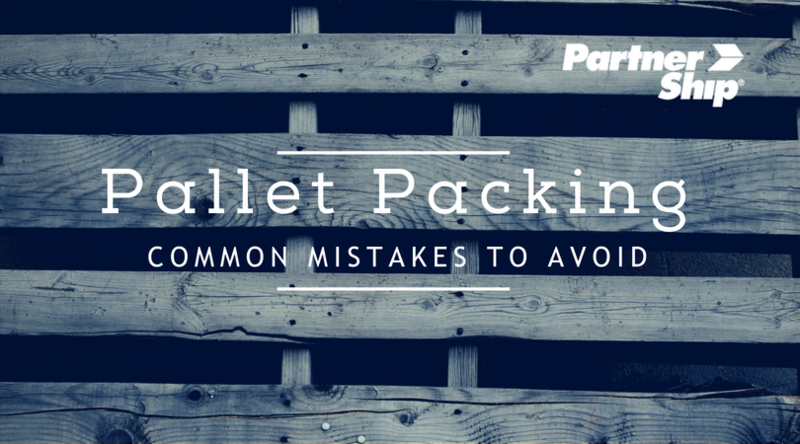 Rather than conducting your own experiments, check out these common pallet packing mistakes so you know what to avoid. Pallet packing begins at the very foundation of your shipment – the pallet itself. It may be tempting to reuse old pallets for your shipments but if you’re not looking out for structural integrity, you could be in trouble. Avoid using pallets with broken boards or protruding nail heads. Using an alternative material pallet can also cause some issues. Wooden pallets are the standard, but pallets made from metal, plastic, and corrugated materials have all entered the market. However, not all pallets are created equal. These pallets are good alternatives for certain specialized needs, but issues like weight, movement, and pallet strength make them not suitable for all types of freight. Before you consider swaying from wooden pallets, make sure to do your research. Before you can stack your pallet, you need to pack your individual boxes or cartons. Even if your boxes are secure on the pallet, the contents inside the cartons can shift. Leaving excess space and not providing proper impact protection is a common mistake that many shippers make. Start by right-sizing your boxes – leave just enough room for the product and the needed impact protection. Anything more is wasted space that you will need to fill with cushioning like paper pad or packing peanuts. You may think that the way you stack your cartons is just about making it fit on your pallet. However, neglecting to follow certain best practices that increase strength can be a fatal mistake. During pallet packing, not evenly distributing weight and not placing the heaviest boxes at the bottom is a quick way to increase your risk of damage. Using pallets that are too small and thus leaving overhang is also a common mistake that will make your freight vulnerable. The stacking patterns you use when packing your pallet are also extremely important. One of the biggest offenders is pyramid stacking. This kind of pallet packing pattern leaves the cartons at the top at greater risk of being damaged and makes the load less secure. When possible, an aligned column pattern is best. Stacking your pallet in a way that ensures it is level and flat will put you in the best position to avoid damage. If you don’t currently use a stretch wrap machine, you want to make sure your manual wrapping technique is up to par. There are a couple common mistakes to look out for. First, make sure you’re wrapping around the pallet enough. You should be making at least 5 wraps around the entire shipment. Second, twisting the wrap is something that is often overlooked. You should twist the wrap every other rotation to increase the durability. After you go through all that work of ensuring you’ve packed your pallet in a way that reduces its risk of damage, you don’t want to run into issues just because you neglected to label your shipment properly. One label is not enough. You want to make sure the shipping label is on each side of your pallet, with the consignee information clearly visible. Pallet packing may seem simple, but these missteps can create complicated issues. If you’ve discovered that you’ve made any of these common mistakes and want to learn more about packaging best practices, download our free white paper! Moving freight is getting more difficult, and therefore, more expensive. 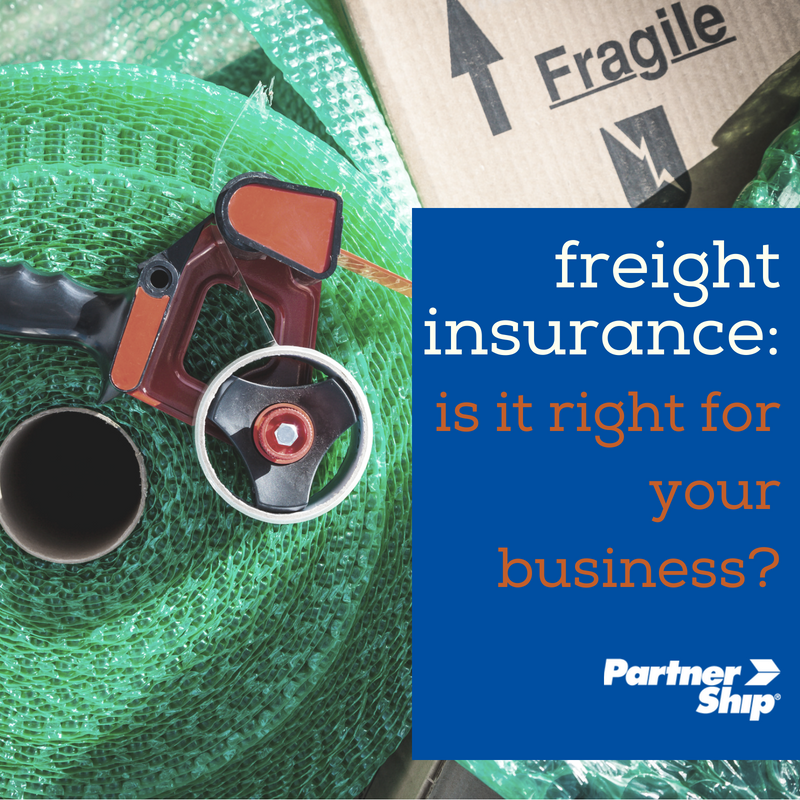 If you’ve ever had “sticker shock” from a freight quote, you’re not alone. There are a lot of cost factors that go into the price you pay to move freight, so we want to explain them so you can be an informed shipper and ship smarter. Every LTL or truckload freight shipment has fixed and variable costs that are calculated into the rate you pay to ship your freight. Let’s start by looking at the fixed costs. Truck Payment. Owned or leased, drivers and operators have the expense of their equipment (trucks and trailers) to consider when quoting your freight. New trucks can be leased for $1,600 to $2,500 per month and used trucks can be leased for $800 -- $1,600 per month; a new truck can be purchased for $2,250 a month (purchase price of $125,000 with 5-year financing). On average, truck payments are 16% of the cost of moving freight. Insurance. The FMCSA requires individual owner-operators to carry a minimum of $750,000 to $5 million in liability coverage. On average, liability and damage insurance can cost between $6,000 – $8,000 per year, with newly-granted authorities typically paying between $10,000 and $16,000 their first year. Truck insurance accounts for 5% of the cost of freight shipping. Driver Salary. 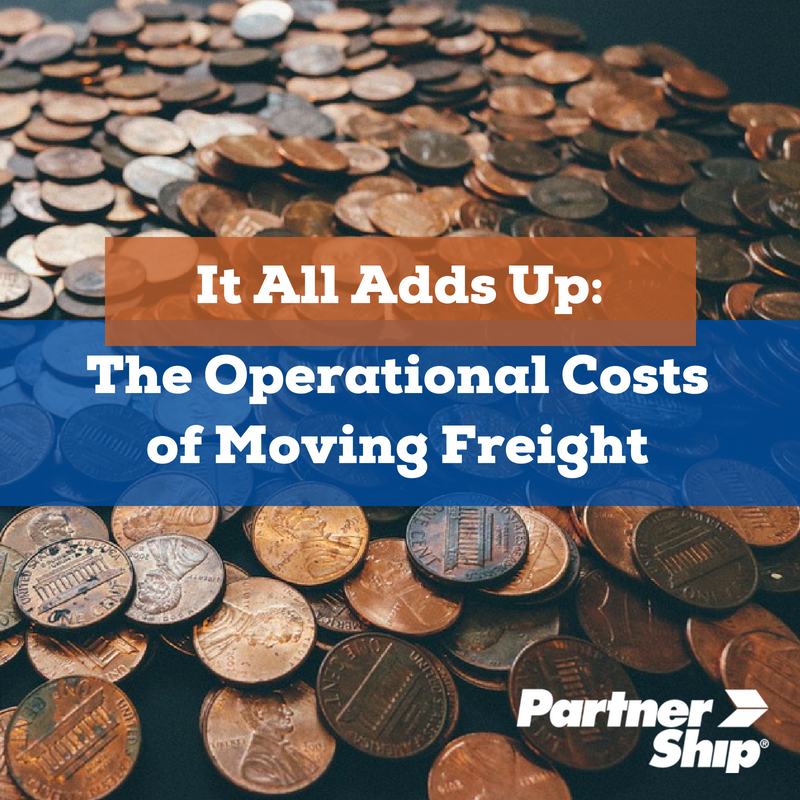 This is the largest operating cost of moving freight. Commercial truck driver salaries are based on the distance driven, and although drivers spend a lot of time in traffic, at the dock being loaded or unloaded, etc., their operating costs are only derived from miles traveled. With an average salary of $78,200, driver pay and benefits accounts for 43% of operational costs. Office and Overhead. This fixed cost includes a building lease or mortgage, and includes electric, phones, internet, computers, and office support. These costs can vary widely. Permits and Licenses. Permits and license plate costs account for $2,300 annually, or 1% of operational costs. Fuel. The second largest operating cost of moving freight is diesel fuel. A commercial truck can easily consume 20,000 gallons ($64,000) of diesel fuel per year, accounting for 21% of operational costs. Tires. Retreaded truck tires are less expensive than new tires and cost on average $250. Annual tire expense accounts for $3,600, which is roughly 2% of operational costs. Maintenance and Repairs. Trucks need constant maintenance and do occasionally break down. Issues with air lines and hoses, alternators, wiring, and brakes are all common in commercial trucks, and can cost $17,500 annually or 10% of operational costs. Meals. The truck isn’t the only part of LTL and truckload freight shipping that needs fuel! 10 meals a week at $12 each equals a meals expense of $6,500 a year. Tolls. With nearly 5,000 miles of toll roads in the US, chances are good that your freight will be traversing at least one of them, and this will be factored in your cost. For example, a load moving from Chicago to Baltimore will encounter toll roads in Illinois, Indiana, Ohio, and Pennsylvania, costing $225.75. Sometimes a carrier can avoid toll roads, but this will frequently increase the number of miles driven, which also increases your cost. On average, tolls add $2,500 a year, 2% of the total cost of freight shipping. Coffee. Did you know that truck stops sell more coffee than convenience stores? The average commercial truck driver spends more than $600 a year on coffee. Its effect on cost is negligible but we thought it was interesting! Profit. Remember, freight carriers are in business to make a profit. Owners, operators and drivers are funding their kids’ education or dance lessons, paying their mortgages, and buying food and necessities, so please don’t expect them to move your freight for free. Electronic Logging Devices (ELD), which have decreased driver productivity approximately 15%. When drivers spend less time driving, transit times increase and drivers move fewer loads, which pushes costs up. Telematics services, such as vehicle and trailer GPS tracking. Driver turnover; not just the cost of recruiting and training, but also the opportunity cost of empty trucks not hauling freight because they have no drivers. Finding loads to move can take up a sizable chunk of every day. Every hour spent not driving loaded miles is an hour a driver isn’t making money. The bottom line is that a lot of factors go into the cost you pay for LTL or truckload freight shipping. The costs listed here are conservative and are probably on the low end, so your costs may be higher. The struggle is real: moving freight is getting more difficult and more expensive. By shedding light on the costs that go into each and every LTL or truckload freight move, we hope that you’re better informed so you don’t experience “sticker shock” next time you get a freight quote. If you find yourself battling rising freight costs and need some help, contact the freight shipping experts at PartnerShip. We have significant experience in both the LTL and full truckload markets and can help you ship smarter so you can stay competitive. LTL freight rate increases are unavoidable. And in this current tight capacity market, it’s no surprise that many carriers have taken their general rate increases (GRIs) earlier than in previous years. Just like in the truckload market, costs are been driven up by the ELD mandate, the driver shortage, and hours of service (HOS) rules. Coupled with the strong U.S. economy, freight demand is surging and straining the market. Along with the tight capacity market, trends towards shorter supply chains and smaller, lighter loads have led to more demand for LTL services. The rise of ecommerce has played a large role in the increased demand. Products that consumers never would have dreamed of ordering online years ago, like furniture, have now become commonplace for ecommerce. However, these types of shipments are less desirable for carriers. With more deliveries being made to more remote areas without backhaul opportunities, the costs are significantly higher for them. With the driver shortage, it is easier for carriers to find and recruit LTL drivers, compared to truckload. They are more appealing jobs, with shorter lengths of hauls and less time away from home and families. However, there are fewer LTL carriers entering the market when compared to truckload. The complex networks of terminals that LTL carriers rely on are much more difficult to establish, making it a significant barrier to entry. 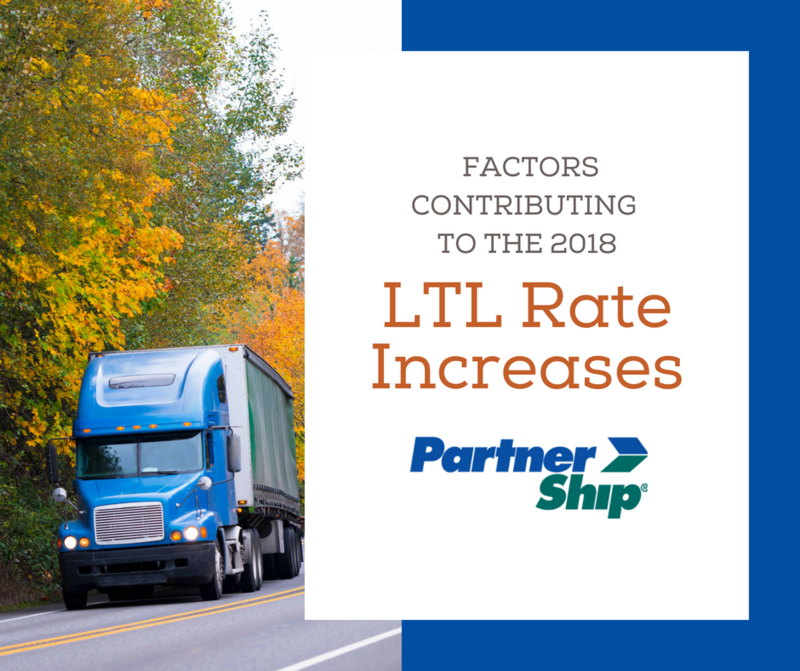 With all of those factors to contend with, LTL carriers have been announcing their GRIs throughout the first half of 2018. Rates aren’t the only thing on the rise. Many carriers are charging more for accessorials like inside delivery or Saturday delivery. Carriers are also implementing tools and technology that help them determine what types of freight are profitable and which ones aren’t – and charging accordingly. Dimensional pricing is one example of this. Many carriers have invested in dimensioning machines, which calculate the amount of space a shipment will need in the truck, leading to less dependency on the National Motor Freight Classification (NMFC) system. As with any announced rate increases, the important thing to remember is that the averages may not reflect the actual increases you’ll see in your freight bills. Depending on the lane and shipment characteristics like weight or class, the increase could be significantly more. To determine what you can expect and what you can do to offset the rising costs, start by taking a look at the increases for your typical lanes. That will give you a better idea of what cost increases you can budget for, rather than relying solely on the reported averages. Then determine ways to reduce those costs. Consider working with a freight broker, to benefit from their industry expertise. A quality broker will have the knowledge to help you navigate the market and will be able to find solutions that can help to reduce your costs. PartnerShip can help you ship smarter. For a competitive rate on your next LTL shipment, get a free quote! We love our carriers, because we know that if it weren’t for our top-quality freight carrier partners, our customers couldn’t ship and receive their freight in a timely and cost-effective way. Our carriers help us help our customers ship smarter. Our May Carrier of the Month is Stankovic Transport, Inc. of Brunswick, OH! They have been in business since 2009 with more than 50 owned and operated trucks and trailers. The PartnerShip Carrier of the Month program recognizes carriers that go above and beyond in helping our customers ship and receive their freight. Our truckload team members nominate carriers that provide outstanding service in communication, reliability, and on-time performance. For being our May 2018 Carrier of the Month, we’re providing Stankovic Transport lunch for the whole office and a framed certificate to proudly hang on their wall. The gestures may be small but our appreciation is huge!